According to Fermilab, “The U.S. Department of Energy (DOE) and Italy’s Ministry of Education, Universities and Research (MIUR) signed an agreement to collaborate on the development and production of technical components for PIP-II, a major U.S. particle accelerator project to be located at DOE’s Fermi National Accelerator Laboratory in Batavia, Illinois. 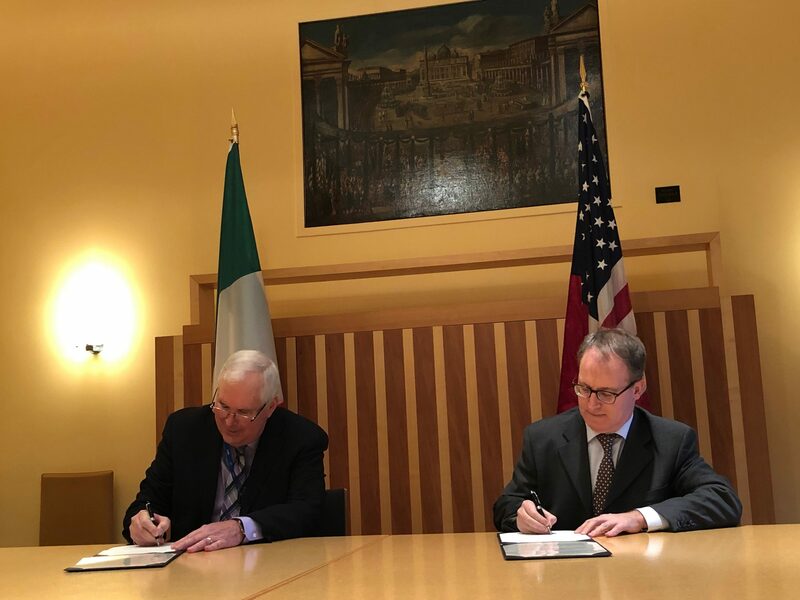 The signing took place at the Embassy of Italy in Washington.” (See press release). This event in the Treaty Room at the Secretary of State’s building followed many events in the previous weeks. Fermilab is America’s premier national laboratory for particle physics and accelerator research. A U.S. Department of Energy Office of Science laboratory, Fermilab is located near Chicago, Illinois, and operated under contract by the Fermi Research Alliance LLC, a joint partnership between the University of Chicago and the Universities Research Association, Inc. Visit Fermilab’s website at www.fnal.govand follow us on Twitter at @Fermilab. As Christians we need to pay close attention to this because of the controversy around CERN. Outside of the CERN facility has a statue which is representative of the Shiva the god of destruction. It has so many implications and we cannot help but see the correlation to CERN and this facility in Chicago. Fermilab is basically creating a powerful force in order to push all of these particles into South Dakota. It uses nuclear-level liquid to push it. It sounds unsafe but they declare it is safe. There are many YouTube videos and conspiracy theorists who are relating CERN to an open portal to demons. I can’t say if it is or not, but we must keep our eyes open on the development. This accelerator will be ready to go by 2020. This is also falling in line with the Internet of Things agenda and 5G. 5G is the new internet power coming that will boost the virtual reality and other realms. 2020 will be a very prophetic time in many ways.